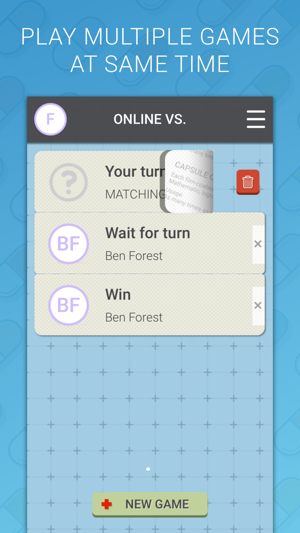 Capsule Coder is a IQ-testing turn-based 2-player logic online board game. It's recommended for the players who are confident of their logical mind. The basic gameplay and rule is same with Mastermind (aka 1A2B), but Capsule Coder has original turn-based VS mode with items. The goal is to find out the CURE before your rival. 2 players make guesses and get clues in turn. Use clues to infer the CURE. The tricky part is you can see rival's combination but you can't see rival's clue unless you use item to help you. Every move you make could be a shortcut for your rival to win the game. Mastermind fans may be familiar with the way to win a solo game. 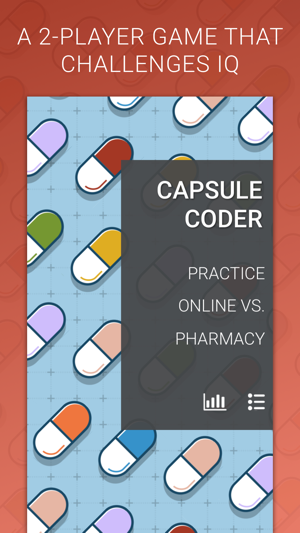 But VS mode of Capsule Coder has more variants. If traditional solo play mode could not meet your needs of challenging IQ, why not invite your friends to do brain gym together in Capsule Coder? Remember to share your record on Facebook when you win! Find out the correct capsule combination (NO same color, generated by computer, I call it the CURE) before your rival. 1. Invite friend or auto match a random rival to start game. In auto match, you may initiate a new match or join an existed one. Who initiated match plays first. 2. 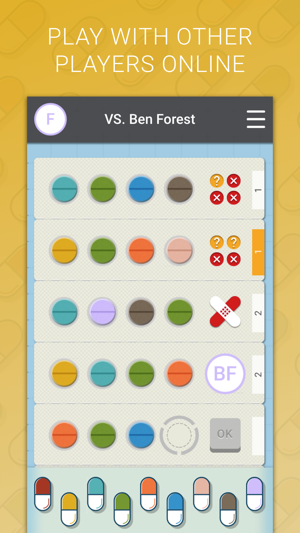 In your turn, choose from the capsules at the bottom to make a combination. 3. Press any chosen pill to remove it then you can choose for that position again. 4. 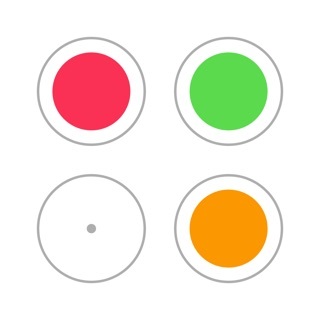 After filling all 4 positions, press OK to confirm. a) Each "√" means a pill is in right position. NOTE: In a combination, if a pill is in right position("√"), place one more same pill in another position won't get another "?". c) After filtering by (a)(b), pills left are shown as "x". 6. You and your rival plays in turn. Who gets four "√" first wins. « Recipe »: Helps you to reveal the correct pill for a position. 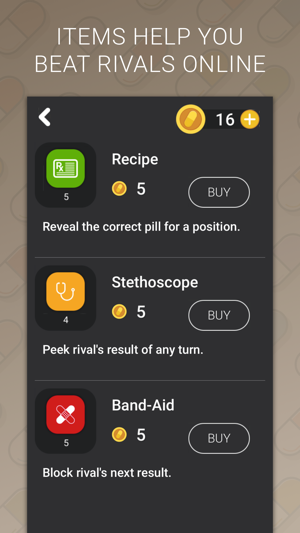 « Stethoscope »: Helps you to peek rival's clue. « Band-Aid »: Helps you to block rival's next clue. You'll get free items in first installation, and you can buy more with coins earned in PRACTICE mode. * Any match with 1 or more turns (both player finish one move is one turn) . * A match that any player finds out the CURE within 1 turn. 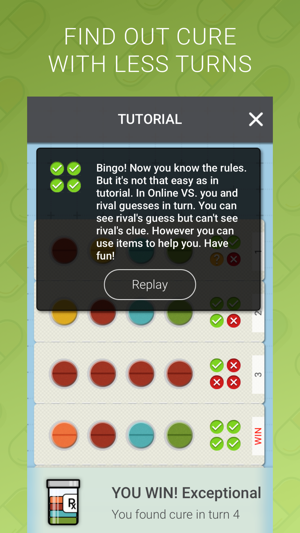 - A match is limited to 30 turns (30 moves for each player). If no one finds out the CURE, it's a draw match. 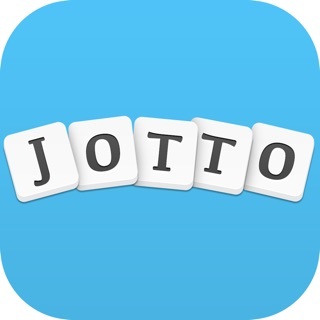 - Any player forfeit in a VALID match, no matter in whose turn, will lose the match. - Any player does not respond his turn in a VALID match over 1 hour. The turn will be passed to the other player. And the other player can claim victory immediately or make a move to pass the turn back to continue match. Found Cure: 20 ~ 200. Use less turn to get higher sore. Before challenging friends, you can get familiar with the gameplay in PRACTICE mode. You can also earn coins by finding out the CURE. Less turns you use, more coins you earn. Coins can be used to buy items in pharmacy. 1. You can choose the same combination with your rival to see what clue he got. Note that the later you do this, the higher risk to lose. 2. If you choose a combination with many [√] or [?] 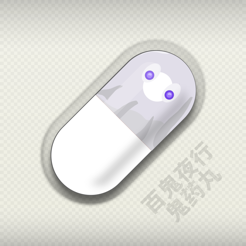 in early moves, you may use other wrong capsules purposely to avoid letting rival know the right capsule. 3. After using Stethoscope to peek rival's clue as reference, be aware that your already-close-to-cure answer could be used by rival too. 4. You'll get more coins or score when find out cure with less turns. So it worth using a Recipe if it can help you find out the cure earlier in practice. Fixed long waiting time before start new online VS game. The gameplay is same with mastermind, but play with friends makes it like chess. I have to consider friend's move while making my choice. Suggestion: I want to see how many times I won, can you add it? Mastermind - Break the Code!